Following unprecedented water conservation and plentiful winter rain and snow, on April 7, Governor Edmund G. Brown Jr. ended the drought State of Emergency in most of California, while maintaining water reporting requirements and prohibitions on wasteful practices such as watering during or right after rainfall. Executive Order B-40-17 lifts the drought emergency in all California counties except Fresno, Kings, Tulare, and Tuolumne, where emergency drinking water projects will continue to help address diminished groundwater supplies. The Order also rescinds two emergency proclamations from January and April 2014 and four drought-related Executive Orders issued in 2014 and 2015. Executive Order B-40-17 builds on actions taken in Executive Order B-37-16, which remains in effect, to continue making water conservation a way of life in California. The State Water Resources Control Board maintains urban water use reporting requirements and prohibitions on wasteful practices such as watering during or after rainfall, hosing off sidewalks and irrigating ornamental turf on public street medians. As directed by Governor Edmund G. Brown Jr. in Executive Order B-37-16, the Board will separately take action to make reporting and wasteful water practices permanent. The Executive Director for the State Water Resources Control Board rescinds the water supply stress test requirements and remaining mandatory conservation standards for urban water suppliers. The action was in response to Governor Brown's announcement earlier this month ending the drought state of emergency and transitioning to a permanent framework for making water conservation a California way of life. Current prohibitions against wasteful water use practices and requirements for monthly water use reporting remain in place. The State Water Board provides ongoing monthly updates on water conservation for urban water suppliers throughout the State, including Los Angeles County. Updates are posted on the State Water Board website. In addition, the Los Angeles County Flood Control District is actively working to capture storm water and runoff to provide much needed replenishment to our groundwater supply. Click here to find out how much water has been captured. 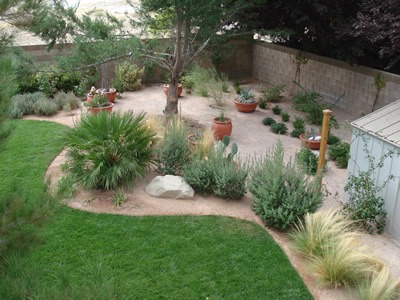 Beautify your garden and make it more water-efficient by replacing your grass with water-efficient landscaping. Loans are available to assist customers with the purchase of water saving devices or landscape replacement projects through Los Angeles County's PACE program. Click here to learn more. Contrary to the commonly held view, there are minimal regulatory barriers for graywater reuse. No permits are required from the County of Los Angeles for residents to install graywater systems in one- or two-family dwellings as long as these systems are supplied only by clothes washers and the system meets minimum design requirements of the County of Los Angeles Plumbing Code and regulations set by the Department of Public Health. Residents who wish to reuse graywater from bathroom sinks and showers must prepare simple plans for review by their local building official and the County Department of Public Health to ensure there are no cross connections between their potable water systems and the graywater system from these sources. 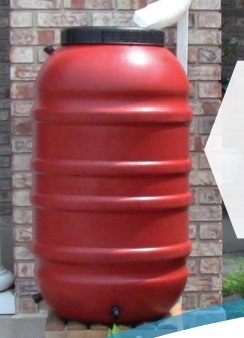 Permits from the County are not required to install and use rain barrels to capture and reuse rainwater on private property. What are the Statewide Water Restrictions adopted by the State? Irrigating turf or ornamental landscapes during and 48 hours following measureable precipitation. Operators of hotels and motels must provide guests with the option of choosing not to have towels and linens laundered daily and prominently display notice of this option.